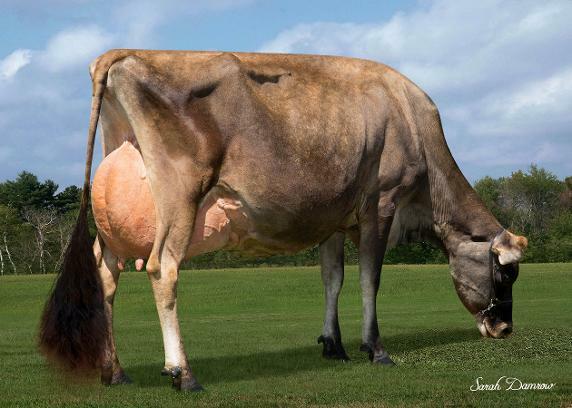 Here you can meet our wonderful Jersey girls who provide us with their delicious, healthy milk. 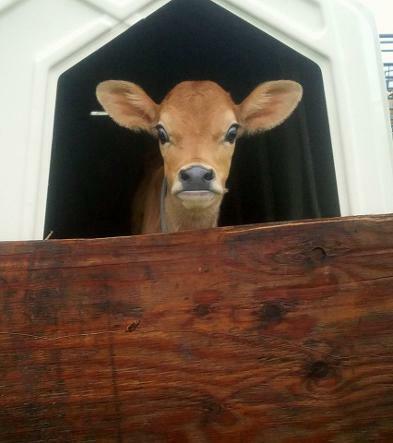 For information on their care, milking process, and products please see the pages Raw Milk and Milking Parlor. This page is just for the girls. 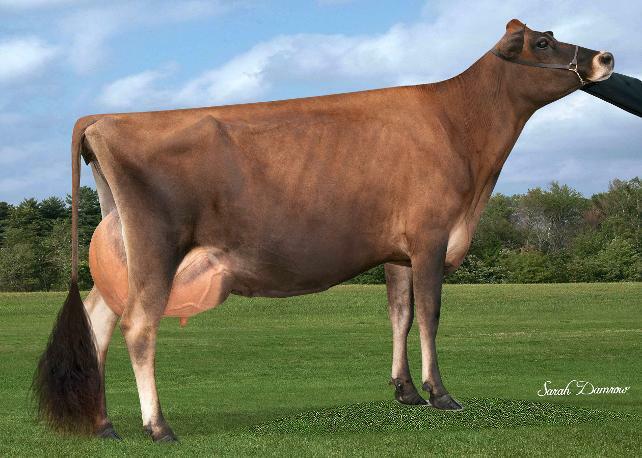 For those not familiar with registered dairy cows, you'll notice that all of our Jersey's names begin with Ronde...that is our AJCA registered prefix which shows that we are the breeder of that cow. This prefix originated from Marc's father, Ron DeLong, who started the dairy in 1973. The sire's name is usually the next part of the cow's registered name, followed by her individual name which will typically start with the same letter as her dam's started with. Some we call by their individual names but several have nicknames we use around the farm. Ronde Golden QT EX94, pictured at 9 years old. Born October 2007. QT, affectionately called Grandma around the barn, peaks around 70 lbs of milk a day. Ronde Golden QT EX94, pictured at 8 yrs of age. 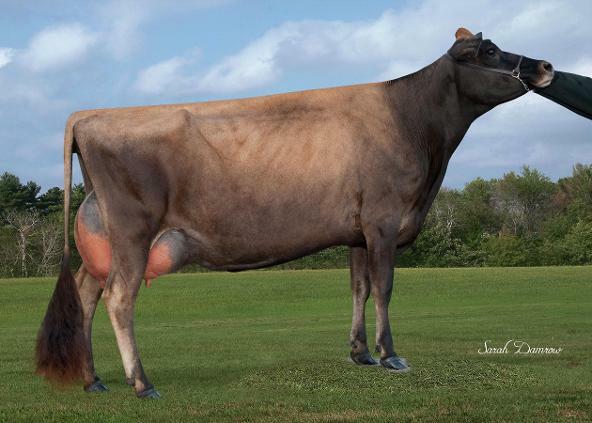 Quire peaks around 70-80 pounds of milk a day with very steady lactation curve. Ronde George Quantas EX93, pictured as a 3rd calf 4 yr old. Born Sept 2011. Quantas a.k.a. Monkey peaks around 60 pounds of milk a day. 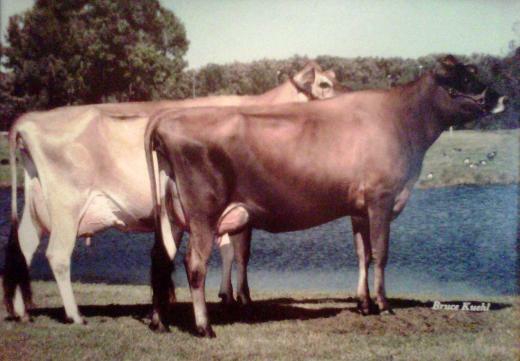 Ronde Governor Quickie EX94, pictured as 7 year old. Born May 2010. 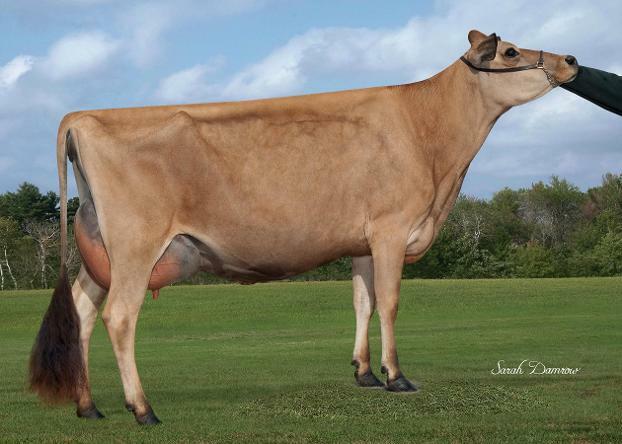 This beautiful girl is a hard worker, milking 85-90+ pounds a day, and is our highest butterfat producer. Ronde Exclamation Qadira EX90 pictured as a 2nd calf 3 year old. Qadira peaks around 70 pounds a day. 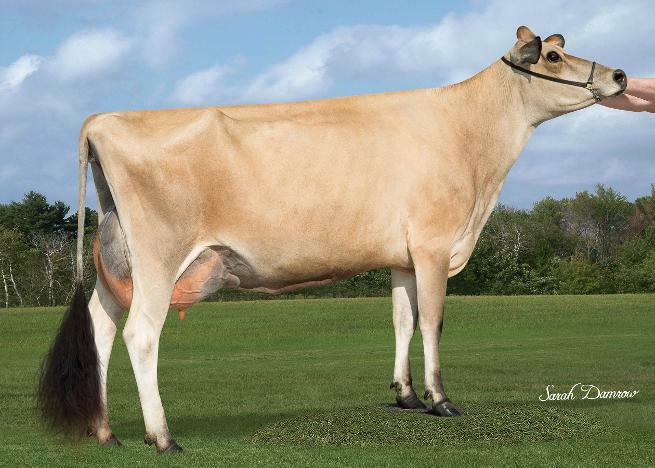 Ronde Exclamation Hadara maxed out at EX91, pictured as 2nd calf 3 year old. Hadara peaks around 60 pounds a day. Ronde Tequila Quervo VG87 as first calf 2 yr old, January 2015 heifer out of Quire. Pictured as second calf 3 yr old. Quervo peaks around 70 pounds a day. 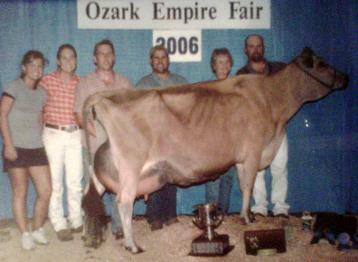 Ronde Crown Quota EX 91, two-time Champion at OEF, Quickie's dam. 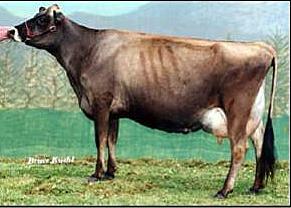 Bouncer Juno Queenie EX92--This cow is the foundation cow of everyone in our herd with the exception of Hadara.